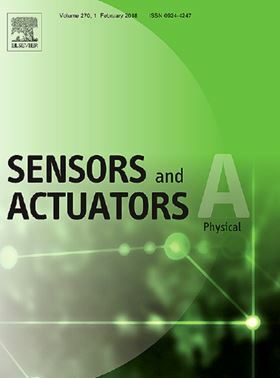 The research article 'Design and experimental investigation of a bi-directional valveless electromagnetic micro-pump' has been published in Elsevier journal Sensors and Actuators A: Physical. In this paper, a design of a novel electromagnetic micro-actuator prototype is presented. This prototype is fabricated using conventional elements for a novel working principle as bi-directional valveless micro-pump for biomedical applications. The proposed micro-pump includes two unfixed permanent magnets placed in opposite polarities in a cylindrical channel. The channel is placed between two fixed coaxial coils as external electromagnets. The electromagnetic actuating depends on moving both unfixed permanent magnets vertically via the interaction of their magnetic fields and that resulting from coils. The actuation of magnets is produced with a periodic movement and consists mainly of three main modes. By selecting a suitable coil’s driving currents, the actuation can be controlled either to change fluid flow direction or the actuation speed. An experimental test shows the high performance of the proposed micro-pump, a flow rate of 37ml/mn and maximum back pressure of 1.98 kPa are attained. Access the full article on ScienceDirect. The twin-screw vacuum pump has an outstanding pumping performance during operation, and is widely used in the semiconductor industry.